HAVER CPA 2-1 ONLINE for particle sizes from 20 micron. 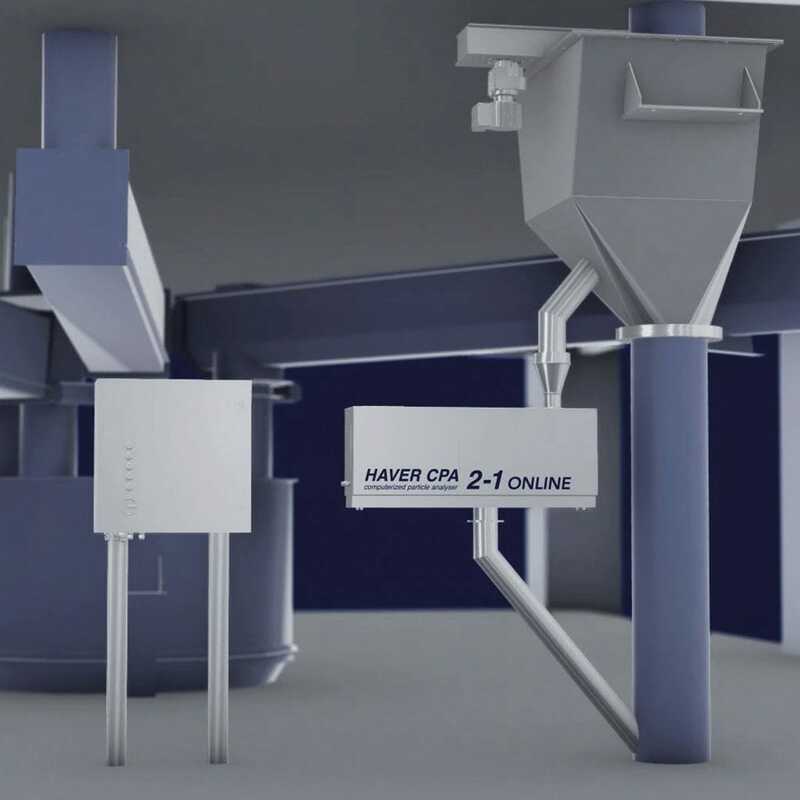 The HAVER CPA 2-1 Online technology is the optimum basis for a flexible and reliable solution when it comes to computerized online particle analysis. The modules of the particle analyzer are compactly designed and can be integrated almost everywhere. It is also always possible to retrofit it to existing processes. Moreover standard distances of up to 100 meters are possible for the connection between the PC system and the measurement instrument. The modules are available with various protection classes and, when needed, they also offer customized protection against cold or hot ambient conditions. Customization is possible in almost every application. The HAVER CpaServ software offers support for the common PLS systems such as Profibus, Modbus and OPC connections. However, also a simple 5-24V data transfer is of course possible. Thus a connection is a mere formality. Moreover, the software also offers diverse evaluation tools and transfer components, e.g. TXT/CSV-Export. Together with the possible direct control of possibly already existing sample taking systems, the HAVER CPA Online can be operated as an independent system. In this case no process control system or PLS connection is necessary.